Perhaps you recognize Jencarlos Canela as the lead singer of Boom Boom Pop. Maybe you've seen him on Eva Longoria's hilarious new comedy Telenovela. Whatever the case may be, all of his past projects involving music have proven to come in handy as he prepares for his role as Jesus Christ in the live musical The Passion. "To be playing the role of Jesus Christ is a huge honor and to do it through music, which is what I've done my whole life, is an even bigger honor," he told E! News at Stir Market in Los Angeles. "We continue to use music in this case to spread a message that I think we need, I know I need. These messages of love, of hope, of acceptance, forgiveness—it's the biggest story ever told!" Hosted and narrated by Tyler Perry, the special event will be broadcast from New Orleans Sunday night at 8 p.m. on Fox. Trisha Yearwood, Chris Daughtry, Seal and Prince Royce are just some of the famous faces set to deliver a message Jencarlos thinks all followers of faith can appreciate. "Whether you are religious or not, whether you are a believer or not, this story has so many life lessons in it," he explained. "He understood that we were one. It's not about the color of your skin. It's not about the shape of your eyes. It's not about the accent. He doesn't hear any of that. He doesn't see any of that and I think we need that in today's America. We are a very diverse country and we need to accept and embrace it." 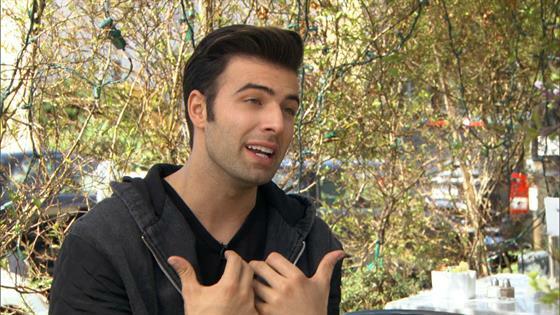 Before rehearsals and preparations began, Jencarlos wowed producers including Adam Anders with his audition. With a guitar in hand, the actor sang "Amazing Grace," which helped him land the role. While many people are quick to remind Jencarlos that his character is more than a little important to the story, he's trying not to feel too much pressure ahead of the show. 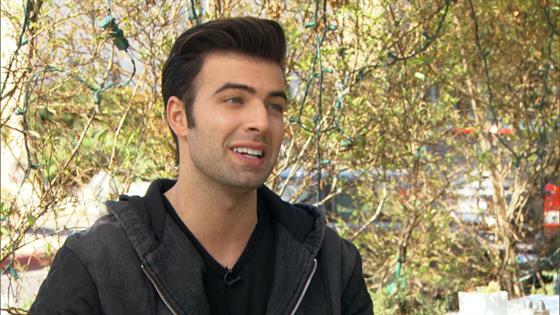 Jencarlos Canela Dishes on Auditioning for "The Passion"
"The way I approached it was I think our God is a humble God," he began to explain. "I personally think that the way he would want it is the importance here is the message we're taking to the people." As for what fans can expect Sunday night, it's safe to say there will be a current or contemporary vibe to a story that has lived on for multiple generations. "The fact that it has that modern twist, that we're dressed modernly, that we're using modern, contemporary songs to tell the story, I think it's beautiful because at the same time, we're respecting the biblical sense of it," Jencarlos explained. "Nobody is putting any words into Jesus' mouth. This makes the story accessible to our generation and so many more people and I think that's awesome."